The mineral.fi flyers and posters Finnish Drum’n'Bass and Dubstep collection 2010 one year birthday! Physics is the production moniker for drum&bass producer/DJ and label owner Glenn Grip currently recording for Labels such as Metalheadz (Goldie) , MAC II(Randall) Blindside, Fokuz, Jerona Fruits, Jerona Dubs, Phuzion, Phuturistic Bluez, Planet Funk, Vampire Records(Source Direct) and Pivotal Entertainment music and Telluric Recordings. 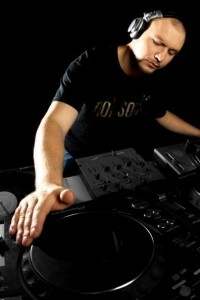 He also runs Finland based label Midnight Sun Recordings and is a co-owner of the digital download shop http://www.digital-tunes.net/ alongside companion William Coates. Physics started producing late 90s and it didn’t take long before his music was snapped up by the biggest labels in the industry. Physics music has been supported by international DJ:s such as LTJ Bukem, Goldie, Nookie, Marcus Intalex, Marky&XRS, D-Bridge,Randall, Bryan Gee, Makoto, Phil Source Direct, and many more. Being a busy DJ aswell , Djing work have taken him to countries like Germany, Czech Rep, Slovakia, Sweden, Romania, Denmark, Russia, England, Austria, Estonia, Slovakia, Czech Republic, N Ireland, Scotland, The Netherlands to name but a few, playing the sounds of the Midnight Sun.